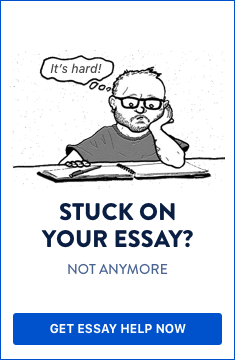 How to write an essay conclusion? Once you count with your notes, you need to define the structure of your text. Ideally, you need to have an introduction, development and, finally, a conclusion. The debate that you have developed in your essay has clarified readers’ different possible arguments on the subject. Now, they want to know what will be concluded at the end, the debate and what this conclusion means. Conclude with a restriction of their results; for example, if they only apply under certain condition. Conclude with a comparison of your test results with results from other discussions or investigations. Conclude with an extension of their results to other fields of application. Conclude with a projection of their results into the future. Conclude with a description of possible practical applications of their results. Remember to adjust the length and style of your conclusion to other parts of the essay. Reiterate the thesis but expose it differently (do not copy-paste). Briefly remind the reader why the thesis is true and discuss some of its broader implications: political, social, cultural, etc. Make sure that the end of the conclusion is eloquent, effective and draws the conclusion in an interesting way. If you don’t find it convenient to divide your work into chapters, what you have to do is that in the last paragraph of your work you can use a link that tells the person reading it in this part of the conclusion is being addressed. We recommend using words like "to finish", "finally", "in short" or "to finish". Avoid adding data or issues that were not addressed in the development of the essay, since otherwise, if you add new information all you get will confuse who is reading your work. You can "leave a trace". Consider using a phrase in a moral way, include a personal opinion, leave a recommendation or make a projection. Once you have finished making your essay, we suggest proofreading; make sure the introduction and the conclusion match well. They must both have the same assumptions, but obviously without sounding repetitive. Don’t forget to link aspects of the text that will allow you to come up with the best conclusion. Avoid introducing new points and stick to your main idea.